Cycling is the best way for kids to explore the world around them, make new friends and enjoy with them. Every parent waits eagerly to teach their kid to ride a bicycle, but only a few realize that they are also teaching a valuable life skill. • It will allow your child to get some much-needed exercise. This will improve their health and mood. • It strengthens the immune system and contributes to a healthy life. • During cycling, most of the body's muscles are activated. Leg, abdomen, back muscles and the shoulder-arm muscles get stronger and are able to function efficiently. • Exercise accompanied by strain on the skeletal system strengthens and increases mobility. 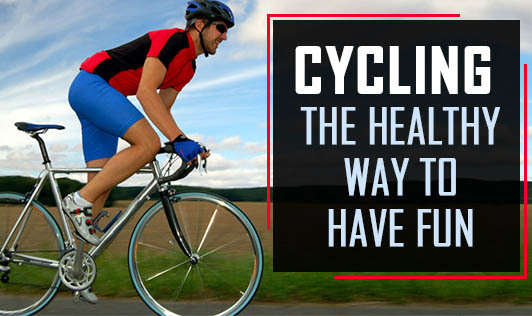 Cycling has a positive effect on bone density and strength. • Cycling helps your child to develop road sense, navigation ability and independence, which in turn will strengthen their confidence. • Cycling with the family is a good way for the family to take part in a healthy and affordable activity together, thus encouraging family bonding. • Wear a proper fitting bicycle helmet. • Before riding, check if the tyres are inflated and the brakes are working fine. • Whether daytime, dawn, dusk, foul weather, or at night, you need to be seen by others. Wear neon, fluorescent, or other bright colors when riding in the day or at night. Also, wear something that reflects light, such as reflective tape or markings, or flashing lights. Remember, just because you can see a driver doesn't mean the driver can see you. • Always drive with hands on the handlebar. Carry books and other items in the bicycle carrier or backpack. • Watch for road hazards like potholes, broken glass, gravel, puddles, leaves, and dogs which may cause a crash. • Ride in a straight line and signal your moves to others. Cycling, whether a day to day activity or an occasional adventure is definitely the best life skill packed with health benefits and fun that a parent can teach their kid. So, go ahead and let your child enjoy his ride.